Multichannel analytics is key for the Financial Times, which is well known as a leader in understanding its audience and using the data to increase revenues. The FT, which has 4.5 million registered users of its digital offering and 285,000 paying digital subscribers, has a team of 30 people focusing on web analytics, data and digital marketing for the title. The digital subscriber base grew by 29 per cent last year, demonstrating how understanding the audience pays off. Tom Betts, head of web anaytics as the FT, told today’s ‘audience revenue tools for online publishers’ conference how it has grown its subscriber base and used data to help “fuel” their shift to mobile. One of the things the FT has been doing for the past two or three years, Betts said, is personalising the communications with readers based on the types of editorial content they are are interested in. The FT looks at customer DNA, at how much of each type of content, such as “markets”, “world”, “personal finance”, they read. 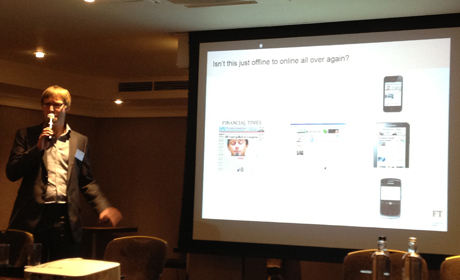 The FT can then tailor newsletters “to personalise the experience that people have with us”, Betts explained. But simply looking at digital analytics is not enough. Platform-specific data can give a better picture of the individual. For example, Betts explained how if a reader has not read “weekend” or “personal finance” content online, it might be that they read it on a tablet or mobile when they are at home. Mobile is altering the way our customers read our content. And this information can turn into revenue. At least 20 per cent of new FT subscriptions comes from behaviour-driven data marketing, Betts said. He also said it is essential to understand whether if people are engaging across platforms. “Are the platforms generating a new audience or are we just moving the audience from one platform to another?” Betts asks the data, as that will dictate how much it is worth investing in digital offerings for different devices. The FT famously created a web app in order to have a direct relationship with the customer, which it was not able to do with its previous iOS native iPad app. As well as providing data from the web app and bypassing Apple’s 30 per cent levy, the technology behind the app also makes “deployment easier”, Betts said. “HTML5 makes deployment easier” as the “core remains the same with different wrap-arounds” overlaid for the Android and Windows 8 native apps. And looking at the data demonstrating when the various devices are used is also beneficial. Betts demonstrated with a graph to show the main smartphone and tablet usage peaks at breakfast, with another rise in the evening. Existing subscribers are not just reading during the business day. They therefore get better value of their subscriptions and less likely to cancel. Update: This post initially quoted Tom Betts as saying “everything we’ve done that has been successful at the FT has been related to data”. The FT would like to clarify that Betts was referring to the fact that “the intelligent use of data has been a significant driver of our commercial success”. This entry was posted in Business, Events, Online Journalism, Paid-for content and tagged #marketbriefing, Financial Times, Newspaper Audience Databank on June 20, 2012 by Sarah Marshall. Eighty per cent of a typical news site’s digital revenue comes from their loyal, returning audience, those the publisher has an email addresses for, with 20 per cent of revenues coming from flyby users. But 80 per cent of traffic comes from the flybys who generate the minority of the revenue. The statistics, which are unlikely to come as a great surprise to many publishers, were shared at today’s ‘audience revenue tools for online publishers’ conference by Matt Shanahan, SVP strategy for Scout Analytics, one of the data tools discussed at the event. Shanahan talked of the positives and negatives of revenues from print versus digital. He said the main difference is that print is based on “distribution” whereas in digital, publishers get paid for “usage”. Outlining the negatives of shifting to digital, Shanahan said publishers can expect “to chop in half” revenues. Meanwhile, there is a need to sell more ads, he said. One of the many positives, Shanahan said, is that with analytics “you know what people are reading”. Shanahan therefore encourages publishers to focus on analytics and to segment the audience by revenue. 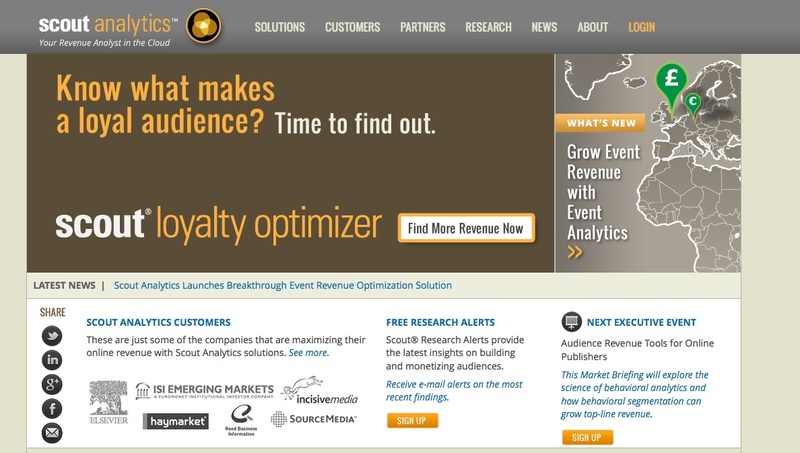 Scout Analytics calls it “revenue-weighted behavioural segmentation”. 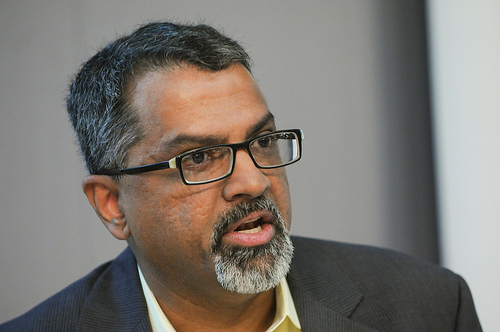 He says those who dig into the data in this way can “grow revenues by 200 to 500 per cent”. “An anonymous audience is an anchor,” Shanahan said, explaining the value that comes when a publisher has an email address for a reader. He showed statistics to demonstrate how a registered audience will “always be much smaller in number” but showed how they generate far more revenue for the publisher. Shanahan said that “even if you have a registered user it doesn’t mean they come everyday”. But if you have their email address, you still get to market to them. And loyal readers have the same conversion rate as those who do visit the site every day, he said, when marketing daily deals by email, for example. This entry was posted in Business, Paid-for content and tagged #marketbriefing, analytics, Matt Shanahan, online publishers, Scout Analytics on June 20, 2012 by Sarah Marshall. Monetisation of digital journalism, described earlier today as the “elephant in this room” by CNN’s Peter Bale, formed the basis of an afternoon session at the News World Summit in Paris today, with a focus on financing investigative journalism. The challenge, as Paul [Steiger] pointed out, is if we don’t do this people die. If journalism isn’t there to protect people, then people will get hurt. This is not just a matter of economics to keep jobs, this is about economics that support democracy. I feel passionately that we need more experiments, more subscription models, more donation models. We also need to figure out how we can tell the public the value of investigative journalism … even if they don’t support if financially they can support it in other ways. He called for more creative solutions. Online it is “going to be increasingly difficult for traditional media”, adding that recent figures showed 68 per cent of online display advertising in the US controlled by the five big technology firms. Our difficulties are fairly well documented so we need to start looking for some solutions that are different. Also speaking about the issue on the panel, ProPublica founder Paul Steiger said he expects the decline in print advertising accelerate, “so the challenge of getting more and more revenue from online is going to be greater rather than less”. He added that investigative journalism is significant for democracy and therefore “worth supporting in multiple ways, including charitable contributions”. This entry was posted in Business, Events, Online Journalism and tagged #gen2012, digital journalism, investigative journalism, monetisation on May 31, 2012 by Rachel Bartlett. Johnston Press has delayed the reporting of last year’s financial results while it negotiates with lenders. 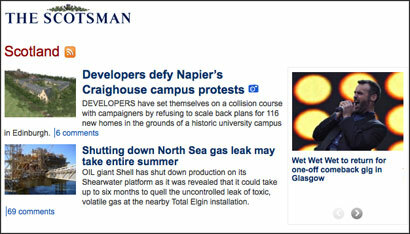 The local news publisher of around 260 titles, which is based in Edinburgh, was due to report its full-year results for 2011 on Tuesday (3 April). It is describing discussions with lenders as “constructive”. In a statement JP says it is changing its preliminary results date to 25 April. The company has been in constructive discussions with its lenders regarding the extension of its credit facilities for a further three years from their current maturity on 30 September 2012 and will provide a further update to the market as part of the preliminary results announcement. Last week Ashley Highfield, who started as JP’s chief executive in November signaled that the publisher is adopting a “digital first” strategy. During the same appearance, at the Guardian Media Summit, he stated that “every one of our newspapers is profitable”, but added that to “make more money out of digital we still have a long way to go”. He said the local newspaper group aims for profit margins of 20 per cent. This entry was posted in Business, Local media and tagged Ashley Highfield, Johnston Press plc on March 28, 2012 by Sarah Marshall. Is CNN about to buy Mashable? Reuters is reporting that CNN is expected to buy social media and technology site Mashable for more than $200 million (£128 million). Felix Salmon, a Reuters blogger reporting from the annual South by Southwest technology conference held in Austin, Texas, says in a video posted last night (Sunday) that the broadcaster is expected to make an announcement tomorrow (Tuesday, 13 March). Mashable is this huge website, it’s got the same kind of consumer focus that CNN does, it’s not aimed for the tech insiders, it’s aimed at the masses. Mashable was set up in Scotland by Pete Cashmore who was then 19. It now has bases in New York and San Francisco and has more than 20 million monthly readers, according to the Reuters video. However, paidContent suggests that a deal is far from being announced and suggests the story based on Salmon’s single, unnamed source is merely rumour. A source familiar with the situation describes the report of a deal as a rumour and tells paidContent no announcement is scheduled. Well-known acquisitions of online-only news sites include AOL buying TechCrunch, and its Huffington Post purchase last year on which is spent £195 million. We do not engage in speculation about our business and we aren’t commenting on these reports. 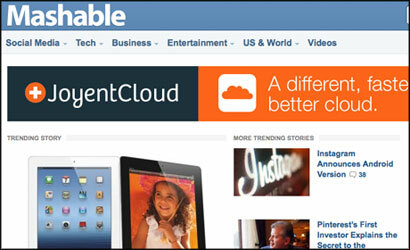 This entry was posted in Business and tagged mashable, Pete Cashmore, reuters on March 12, 2012 by Sarah Marshall. This year “could well be” the first year in its history that content revenues, including print and digital, overtake advertising revenues at the Financial Times, its chief executive, John Ridding, told the news organisation’s Digital Media Conference today. 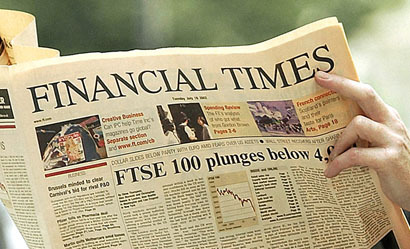 The latest figures show content revenues for the FT accounted for 41 per cent in 2011, while advertising revenues accounted for the majority. Speaking on a panel debating “the future of digital journalism and news”, Ridding said the FT’s relationship with its readers has helped to “sustain” quality journalism. Having that understanding about what readers want is very helpful in continuing to improve the quality of journalism we provide. We are confident in the business model and confident it will not just sustain quality journalism but enable us to further build quality journalism. The site currently offers free registration which gives users access to eight articles a month, after which they would need to pay a subscription to access further content. During the panel Ridding also spoke about mobile, which he said has been “a complete game-changer” for the FT.
One of my issues to start with was will the kind of content we do work on mobile? The answer is yes. He added that one question to consider is whether there are ways publishers can reach out to “large continental economies” via mobile and tablet devices, such as by using “incentives … to stimulate that demand”. Last month the FT’s parent company Pearson reported in its end-of-year results that FT Group revenues increased by six per cent to £427m in 2011. Digital subscriptions to the FT were said to be up 29 per cent year-on-year to 267,000 and registered users on FT.com had risen by 33 per cent. Last week paidContent reported that “in the US, to where its online chief recently relocated, digital subscriptions have now overtaken print subscriptions”. 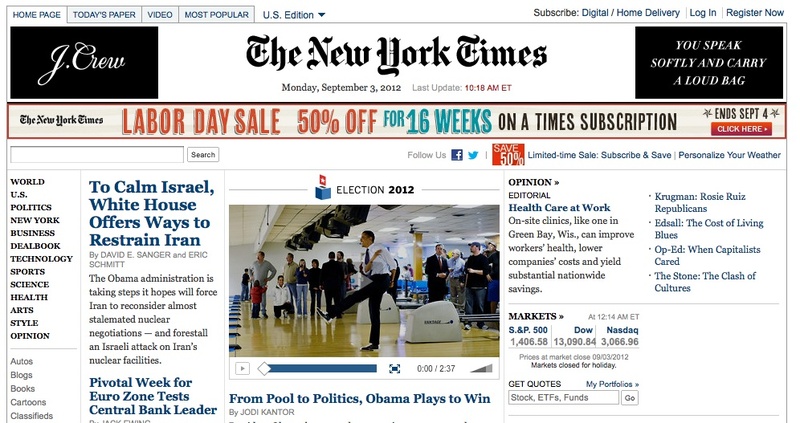 The interview with Riddings also revealed that content revenues are expected to overtake ad revenue in 2012. This entry was posted in Advertising, Business, Journalism and tagged #ftmedia12, content revenues, Financial Times, FT Group Inc, John Ridding, Pearson PLC on March 7, 2012 by Sarah Marshall. I’ve worked alongside you for 43 years to build The Sun into one of the world’s finest papers. It is a part of me and is one of our proudest achievements. The Sun occupies a unique and important position within News Corporation. I have immense respect for our heritage, your exceptional journalism and, above all, you, the talented women and men who work tirelessly every day to ensure our readers have access to such a trusted news source. I believe this newsroom is full of great journalists and I remain grateful for your superb work and for the stories you uncover to inform and protect the public. None more so than over the last three weeks. My continuing respect makes this situation a source of great pain for me, as I know it is for each of you. We will obey the law. Illegal activities simply cannot and will not be tolerated – at any of our publications. Our Board of Directors, our management team and I take these issues very seriously. Our independently chaired Management & Standards Committee, which operates outside of News International, has been instructed to cooperate with the police. We will turn over every piece of evidence we find — not just because we are obligated to but because it is the right thing to do. We are doing everything we can to assist those who were arrested — all suspensions are hereby lifted until or whether charged and they are welcome to return to work. News Corporation will cover their legal expenses. Everyone is innocent unless proven otherwise. I made a commitment last summer that I would do everything I could to get to the bottom of our problems and make this Company an example to Fleet Street of ethical journalism. We will continue to ensure that all appropriate steps are taken to protect legitimate journalistic privilege and sources, which I know are essential for all of you to do your jobs. But we cannot protect people who have paid public officials. I am confident we can live by these commitments and still produce great journalism. We will build on The Sun’s proud heritage by launching The Sun on Sunday very soon. Our duty is to expand one of the world’s most widely read newspapers and reach even more people than ever before. Having a winning paper is the best answer to our critics. I am even more determined to see The Sun continue to fight for its readers and its beliefs. I am staying with you all, in London, for the next several weeks to give you my unwavering support. I am confident we will get through this together and emerge stronger. This entry was posted in Business, Journalism, Newspapers and tagged News Corporation, News International, Rupert Murdoch, sun on sunday, suspensions, The Sun on February 17, 2012 by John Thompson.